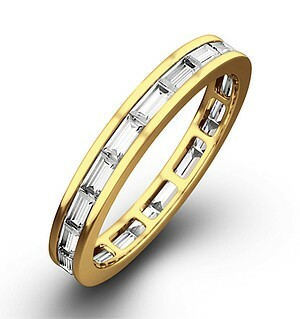 Item HG44-422XUA - A glamorous Abigail Eternity Ring for £2489.00 in 18K Yellow Gold. 2.00CT of G/VS quality Diamonds. Tanzanite (2.00 Ct) and Diamond 14K Y Gold Ring 2.250 Ct. Platinum Overlay Sterling Silver Monte Belo Indicolite and Diamond Ring Size O 0.500 Ct.